The Grumman HU-16, HU-16A, and HU-16B are mighty beasts. ___ were produced at Grumman's plant in [Bethpage? Farmingdale?] New York between 1947 and 19__. 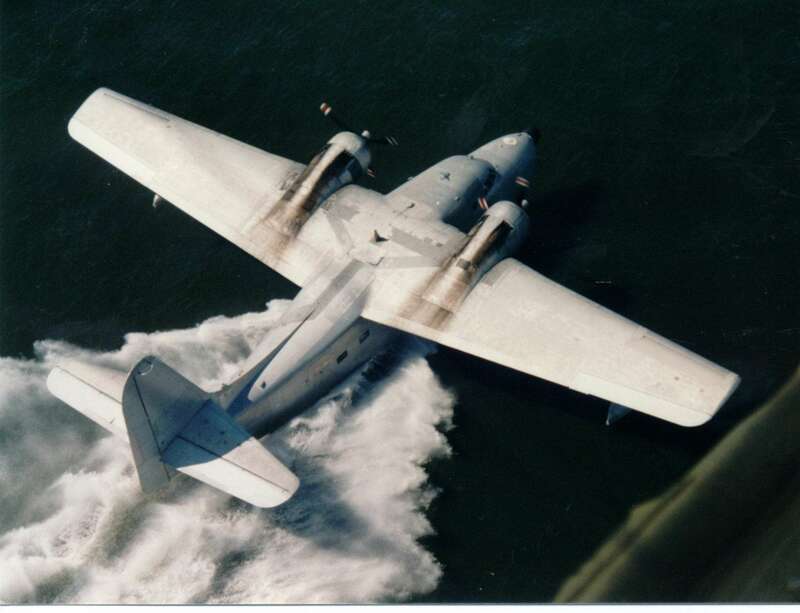 The plane is the largest of Grumman's family of hulled amphibians and was used around the world by U.S. and foreign military services (Coast Guard, Air Force, and Navy) for decades. The last U.S. military use of the Albatross ended in 1983 when the last Coast Guard HU-16E was retired. Albatrosses continue to serve in military services of less developed nations. Most Albatrosses are powered by two nine-cylinder Wright R182076A or -76B engines, geared three engine to two propeller revolutions. I had the privilege of flying this Albatross on Lake Mead, Nevada in 1998. There were about ten Albatrosses at Sun-N-Fun 1999, half of which were for sale. Prices for snazzed-up ones ranged between $600,000 and $900,000! Kitty Courson's wonderful picture of an Albatross (with USAF markings) taxiing out of Vette Seaplane Base on Lake Winnebago during Oshkosh AirVenture. Thanks Kitty! Is this a picture of the inside of a cruising yacht? No, it's the inside of this Albatross parked at Sun-N-Fun! Thanks to Rob Carlson and Steve Ginter for Albatross-related information and hospitality. Source: Naval Fighters issue 11, "Grumman HU-16 Albatross," by Steve Ginter. ISBN 0-942612-11-8. Check out the Albatross Web Page which has dozens more pictures.